Space planning is at the core of any interior design concept. Understanding how a large interior space can be divided up to create a productive working environment is complex; however successful space planning can transform how a business performs. Space planning involves maximum utilisation of all available space in an efficient and effective manner specific to the needs and requirements of each business. With a detailed and scaled floor plan, a designer can carefully select the most appropriate layout to maximise the entire space. Ensuring every inch of a space is thoroughly utilised to meet your business needs and increase productivity by creating a positive environment that will boost work ethic for employees. A key benefit of precise space planning and design is the increase in staff efficiency and productivity. Careful space design can create an atmosphere that employees enjoy to spend their time in. A dark and crowded desk, in the corner of an office provides very little motivation to succeed. Strategic space planning allows designer to maximise the existing space and transform it into an area where employees can thrive. A well-planned office may place break areas out of view of the main work zones and provide group working areas for teams to work together on projects to provide a professional and practical environment. 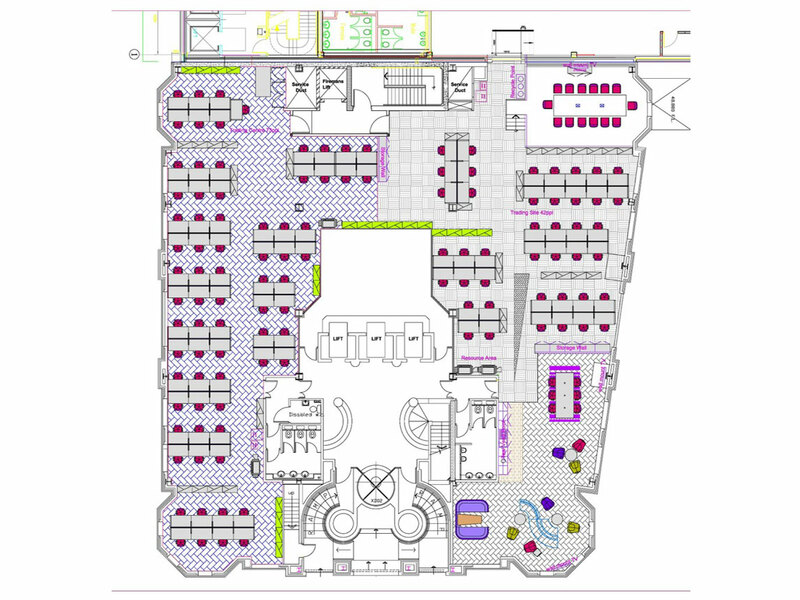 The most direct benefit of space planning and design is the increase in efficiency in your staff by understanding the unique needs of each role. A clever design, minimises the amount of unused space. At Nineteen 25 we take into consideration how your business functions, and the process a project follows to completion. We consider every aspect, from desk size and practical storage space to where each department is located. With careful design, you may find a well-structured smaller space more beneficial to your business than you initially thought. The goal is to maintain a professional and productive environment for a business without having to move to a new location. 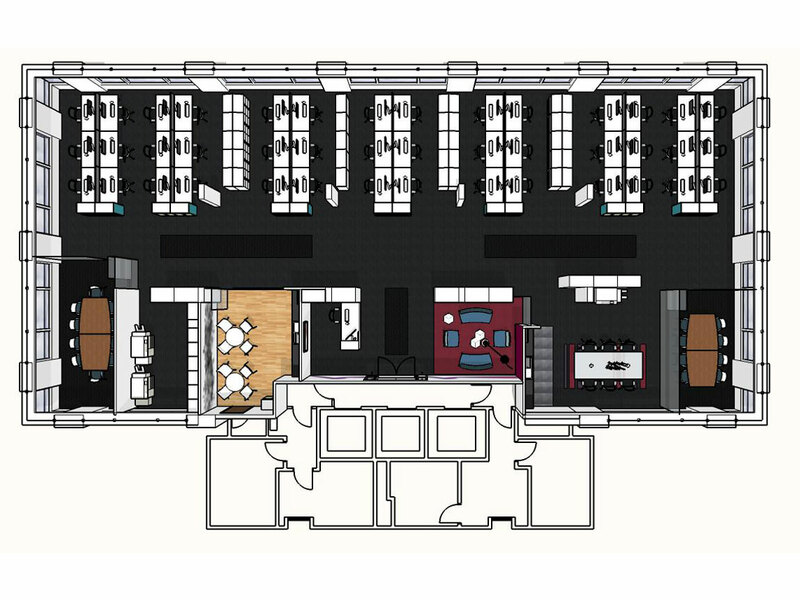 Strategically space planning ensures that your office space meets legal building requirements. 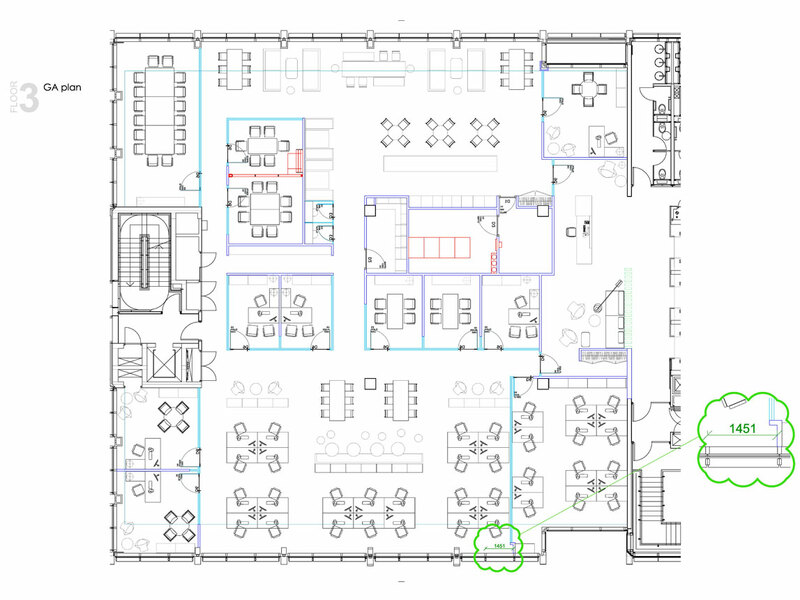 The legal requirements include the amount of space each worker should be allocated, clear routes to emergency fire exits, positioning of lighting and highly complex features such as balancing the acoustics of the office. At Nineteen 25, we take all legal requirements into consideration when developing every office space. All our work complies with Building Control and Health and Safety Executive (HSE) requirements.